In this tutorial you will learn how to disassemble and replace a cracked/broken or flickering LCD screen on Toshiba Satellite and Satellite Pro C660D and C660 Laptop Notebooks. The Toshiba Satellite (or Pro) C660, C660D Laptops come with 15.6 inch Trubrite LED LCD widescreens display monitor panel. This instruction will work for all the Toshiba Satellite (or Pro) C660, C660D Laptop models including the ones at the end of this blog. The very first thing to do is to make sure you have acquired the right replacement screen for your laptop before starting the repair. Remove the Toshiba battery from the laptop before starting the replacement. Removing the battery is essential to avoid the laptop backlight technology or any other part of the notebook to malfunction after the repair. The Toshiba Satellite and Pro C660 and C660d come with 4 screws holding the plastic bezel to the laptop. With a flat screwdriver remove the plastic/rubber screw covers on the screen bezel. Underneath them you will find the screws. This the aid of precision screwdriver remove the four screws around the plastic bezel and keep them safe. The next job will be to remove the screen plastic bezel. The trick is to put your fingers between the screen and the plastic bezel as in the image on the right. Pull on all sides of the screen until the bezel releases from the laptop. To completely remove the laptop screen bezel you will need to pull upwards after the slight release of the bezel. Use the image as a guide. Now that the screen area is exposed pull it towards you slightly and unscrew the 3 screws on the sides. This screws hold the Toshiba screen tight to the brackets. Place the Toshiba Satellite or Satellite Pro C660/C660D screen facedown on the keyboard area and at this point you will be able to see the display panel ribbon cable. It is now time to remove the cable connection at the back. The Toshiba Satellite(Pro) C660 and C660D laptop screens come with only one cable connection at the back as they are LED backlit type. This connection is held with a clear tape which needs to be peeled off before disconnecting. After removing the clear tape pull the cable backwards carefully to disconnect the cable from the back of the screen. At this point also you will be able to see the screen part number. This number can always be used to get the right replacement screen for your laptop. At this point you would have successfully remove the cracked or flickering screen from the Toshiba laptop. To install a new one simply continue the process in reverse order. I hope this has helped in replacing your broken Toshiba Laptop Screen. Always order the replacement screen for your laptop. Look for a good laptop screens retailer or buy from Laptop Screen Online. Acer Extensa 5235 Screen - Have You Cracked Yours? Have you dropped your Acer Extensa 5235 laptop and the screen is damaged/cracked or flickering? This is a problem many is facing at the moment. All the Acer Extensa 5235 Laptop screens can be incredibly fragile and can succumb to breakages easily even in at the slightest drop to the floor. If your Acer Extensa 5235 screen happens to become damaged, it does not mean that you will have to pay out a lot of money on a new laptop notebook. Laptop screens cost a fraction of the cost of a new laptop and can easily be self-installed in under an hour depending on who is handling it. This is the perfect way to repair your laptop on a budget. Some people may panick when their screen cracks as they may think it is over and a new laptop can only solve their problem. Even with very little technical knowledge, you should be able to get to grips with replacing Acer Extensa 5235 LCD screen. For most laptops, a set of Precision screwdrivers should is all that is needed. Start by removing the small plastic caps found around the bezel of the existing broken display. The screwcovers can be found on corners of the plastic bezel of the screen and under them are the screws that holds the bezel to the back cover. Gently remove the screws with the screwdriver and keep them in a safe place. The next thing will be to remove the bezel around the screen. This is easy and should come away when you slide a flat-headed screwdriver underneath it and pull on all sides. Don’t force it as this could cause damage. You can then remove the screws in the metal bracket (hinges arms) surrounding the screen, and carefully move the screen away, resting it a piece of cloth on your keyboard. You can then carefully unplug the display cable and the inverter. The new Acer Extensa 5235 replacement screen can be installed simply by following these steps in reverse order. For visual guide go to Acer Extensa 5235 screen replacement instruction. If after looking at all this and you feel unconfortable about taking apart your laptop then I suggest gettiing a laptop repair technician to carry the job out for you. Shop around for a reasonable price for the repair before deciding. In this tutorial I will show you how to disassemble a broken/cracked LCD screen on HP Pavilion G6, G7 and G72 laptop notebook. The HP Pavilion G6, G7 and G72 Laptops come with 15.6 or 17.3 LED LCD screen monitor display panel depending on the one you are repairing. The very first thing to do before the screen replacement you must get the right laptop screen to change the defective one in your laptop. Hp Pavilion G6 screen being the more common one among the three of them can be found at Laptop Screen Online website with all its series. HP Pavilion G6 laptop screen, G7 and G72 screen like every other laptop can easily break if the laptop is dropped. The HP G72 screen replacement can be somehow different when replacing. For replacement instruction for some G72 go to Compaq Presario CQ62 screen replacement as they are very similar in structure. Please remember to remove the HP laptop battery before starting the repair. This is essential to avoid startic charges damaging the laptop during the replacement process. With the help of flat screwdriver remove the screw cover on the laptop bezel. Unerneath the screw covers you will find the screws. The HP Pavilion G6, G7 and G72 comes with two screws on the lower sides of the screen bezel. Remove the screws and keep them safely. Put your fingers carefully between the screen and the plastic bezel and start pulling on all sides. Pull firmly but carefully to avoid snapping the plastic bezel as it is very fragile. Removing the plastic bezel will expose the internal part of the laptop screen area. On the two upper sides of the laptop screen, remove the screws holding the hinges arms to the laptop backcover. By pulling the screen towards you remove the side screws. The side screws may be up to three or four on each sides. Unscrew them and keep them safely. Place the laptop screen face-down on the key board area and at this point you will be able to see the back of the screen panel and all its wirings. a. HP Pavilion G6, G7 or G72 Laptop Screen is flickering. b. HP Pavilion G6, G7 or G72 Laptop Screen is dark or gone black. c. HP Pavilion G6, G7 or G72 notebook has been accidentally dropped and the screen is cracked. d. HP Pavilion G6, G7 or G72 Laptop Screen is showing lines especially blue, green, pink and white. Now that you can access the back of the screen remove the clear tape holding down the screen cable connection and unplug the ribbon cable. This must be done with utmost care to avoid breaking the screen cable. The HP Pavilion G6, G7 and G72 will come with screens made by Samsung, AUO, LG, Innolux and Chi Mei screen manufacturers. At this point the HP laptop screen removel process is complete. To install a brand new screen carry out the process in reverse order. HP Pavilion G6 replacement screen, G7 and G72 Laptop screens may be difficult to install for some people. I advice that you consider going for laptop screen repair service if you feel unconfortable taking your laptop apart. Toshiba Satellite and Satellite Pro L450, L450D laptop screen replacement can be very easy for some but also can be a bit of a headache for others. In this video tutorial I will show you a full screen replacement technique to remove a broken/cracked Toshiba Satellite and Satellite Pro L450, L450D and replace it with a new one. The Toshiba Satellite and Satellite Pro L450, L450D come with 15.6 CCFL LCD widescreen but some of the latest 2011 models may come with LED screen. The video below will guide you on how to replace the Toshiba Satellite and Satellite Pro L450, L450D LCD screen and other laptops. You will need to replace your Toshiba Satellite and Satellite Pro L450, L450D screen panel if you dropped it by mistake and it is cracked or it has lost its backlight or the screen has started flickering. Leave your comments and questions about the Toshiba laptop screens repair guide below. Acer Aspire 5332, 5334 and 5335 laptop screen replacement can be very easy for some but also can be a bit of a headache for others. In this video tutorial I will show you a full screen replacement technique to remove an Acer Aspire AS5332, AS5334 or AS5335 cracked/broken screen and replace it with a new one. The Acer Aspire 5332, 5334 and 5335 come with 15.6 HD LED OR CCFL LCD depending on the type you are will be working on. The video below will guide you on how to replace the screen. For any questions and comment leave them at the bottom of the blog. Below I have outlined how you would know you need a new laptop screen for your Acer Aspire 5332, 5334 or 5335 notebook. You have just opened your laptop to use it and all you see is lines. This problem can be caused by the screen cable snapping a bit inside the laptop hinges area or the screen is damaged from you accidentally dropping it. Use the instruction guide above to replace the defective screen. You have noticed that you Acer Aspire 5332, 5334 or 5335 keeps flickering when you move the top screen part up or down? Like the lines defect this can be caused by screen cable at the back of the laptop LCD screen not working well. This cable starts from the motherboard area, through the hinges area and to the back of the screen. Throughout the lifetime of the Acer Aspire 5332, 5334 or 5335 laptop the LCD ribbon cable could develop a problem at the hinges area because of consistent use of the laptop and the lifespan of the screen cable. To solve this problem get a new screen cable and replace it. The laptop screen being defective could also cause it to flicker when you move it aroung. But the trick is to replace the cheaper item first - the screen cable before replacing the laptop screen itself. In some cases Acer laptop screens may lose their backlight. This can be caused by the laptop inverter not working any more or the screen backlight has snapped after you have dropped the laptop notebook. When you have this problem you will be able to make out the windows running when you look closely or when you shine light on the screen directly. To solve this problem first replace the laptop screen inverter and if that does not solve the problem then replace the screen. If that does not work then the problem will lie in the screen cable. The screen cable is the medium that carries power to the inverter which then powers the screen backlight. Have you accidentally cracked your Acer Extensa 5235 laptop screen? In this tutorial you will learn how to disassemble and replace that broken LCD screen. The Acer Extensa 5235 screen is 15.6 inch HD LED LCD widescreen, very fragile and can break easily. Many who have bought the Acer Extensa 5235 laptop has been faced with the problem of the display panel cracking, backlight gone (screen gone black) or the screen starting to have lines after even the slighted drop to the floor or thud. First is to have your precision screwdrivers ready. Remove the laptop battery before starting as the screen we are replacing is LED and failure to remove the battery during replacement may cause the backlight of the new Extensa 5235 screen to malfunction after the repair. On the four sides of the screen you will find screwcovers made of plastic and rubber. Remove the covers by hand or with a flat screwdriver. Underneath these covers lies the screws that holds the bezel. Remove all screws from the plastic bezel and keep them safely. Put your fingers between the screen and the plastic bezel and start pulling on all sides. The Acer Extensa screen bezel is very fragile and may snap if this is not done properly. The trick is to pull firmly but carefully. Now that th screen bezel is out pull the screen slightly towards you and remove all the sides-screws on the two sides. Place the screen face-down on the keyboard area. At this point you will be able to see the back of the screen and the ribbon cable. If your Acer Extensa notebook comes with camera this is the best time to disconnect it. Peel up the transparant tape holding down the cable connector and disconnect it from the back of the screen. If the problem you are having is just lines on the screen and you can also make out the windows running then you may just have a ribbon cable problem. Replacing the screen cable may solve the problem. At this point the screen removal process is complete. To install a new screen simply carry out the process in reverse. We have also created a laptop screen replacement video guide to help you. Below is a video version of the Acer Extensa 5325 screen replacement process. Always order the right replacement screen for your laptop. 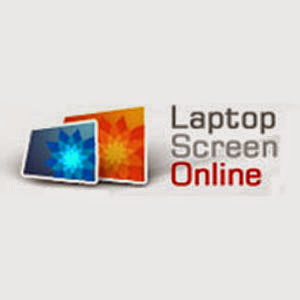 At Laptop Screen Online we stock over 30,000 different laptop screens at very affordable prices. If the above instruction proves difficult or you do not feel comfortable dismantling and changing the screen I suggest going for a Laptop Screen Repair Service we offer. In this tutorial you will learn how to disassemble and replace a broken cracked LCD screen on a Sony Vaio VPCY2, VPCEA1S1E, VPCS11X9E/B, PCG-51211L, PCG-51412M, PCG-61211M Laptop Notebooks. The Sony Vaio VPCY2, VPCEA1S1E, VPCS11X9E/B, PCG-51211L, PCG-51412M, PCG-61211M come with 13.3 or 14.0 inch B140RW02/LP140WH2 LED LCD widescreens depending on the one you are working on. Make sure you have the right screen for your Sony Vaio laptop before you start the replacement process. Listed below are some of the popular Sony Vaio screens in stock at Laptop Screen Online. First remove the laptop battery. Note that failure to do so may result in the laptop malfunctioning after the repair. Use a flat screwdriver to remove the screw covers made of rubber and plastic. Remove the screws you can find after taking off the covers. Keep the screws safely and seperate from other screws in this repair. Put your fingers between the screen and the plastic bezel and pull on all sides towards you until you detach it from the laptop. Removing the screen bezel will expose the internal part of the screen area. With a presicion screwdriver remove all the screws on the two sides of the screen holding it to the laptop. If you are working on Sony Vaio PCG-61211m screen and other 14.0 inch the screws will be on very top and lower parts of the screen. Place the screen face-down on the keyboard area. At this point you will see the back of the screen. For the 13.3 inch screen types the screen part number you will find will be CLAA133WA01A (Made by Chunghwa) while the 14.0 inch screen type will either have B140RW02 or LP140WH2 (TL)(L2) on the label at the back of the screen. Disconnect the laptop screen cable. Note that you must peel up the clear tape holding down the connection before disconnecting. At this point the Sony Vaio screen removal process is complete. Carry out the process in reverse order to install a new screen. You will need to install a new screen if you have cracked your screen by mistake or it has lines on it or the screen has lost its backlight and has gone blank (or gone black as some people will say). Always order the right replacement screen for your notebook. Leave your questions and comments below. Thank you for reading my blog. In this tutorial you will learn how to disassemble and replace a cracked/broken LCD screen on Advent Modena M100, M101, M200, M201, M202 Laptop Notebooks. The Advent Modena M100, M101, M200, M201, M202 Laptops come with 15.6 inch LED widescreens display monitor panel. In this instruction I am using screens from Laptop Screen Online. Remove the Advent modena battery from the laptop before starting the replacement. Because the screen we are replacing is LED Removing the battery is essential to avoid the laptop backlight or any other part to malfunction after the replacement. With a flat screwdriver remove the plastic/rubber screw covers on the screen bezel. Underneath them you will find screws. The Advent modena series screen replacement technique is totally different from any other regular laptop as the replacement starts from the back of the laptop. Close the laptop and as in the image on the left slide-pull the laptop screen back-cover towards yourself until it detaches from the laptop. The back cover is held together by the clips in the inside part of the back cover so the tip is to slide it towards you to remove and slide into it to reattach it. The Advent Modena M100, M101, M200, M201, M202 Laptop back cover is held together by the clips in the inside part of the back cover. This is the same way you have to reattach the back cover after installing a new screen. Peel away the two black polythene strip on the top and lower parts of the back of the screen. This must be done in with care as the plastic strip has the laptop camera and its cables attached to it. On the right side of the screen you will find the wifi reception wire. With the help of the image on the right remove this cable and be careful not to break it by mistake. Disconnect the LED screen cable. FIRST PEEL UP THE CLEAR TAPE HOLDING DOWN THE CONNECTION. Next is to unscrew the side screws from the hinges arms and keep them safely. It is now safe to remove the screen totally. The screen removal is complete. Install a new screen by following the guide backwards.